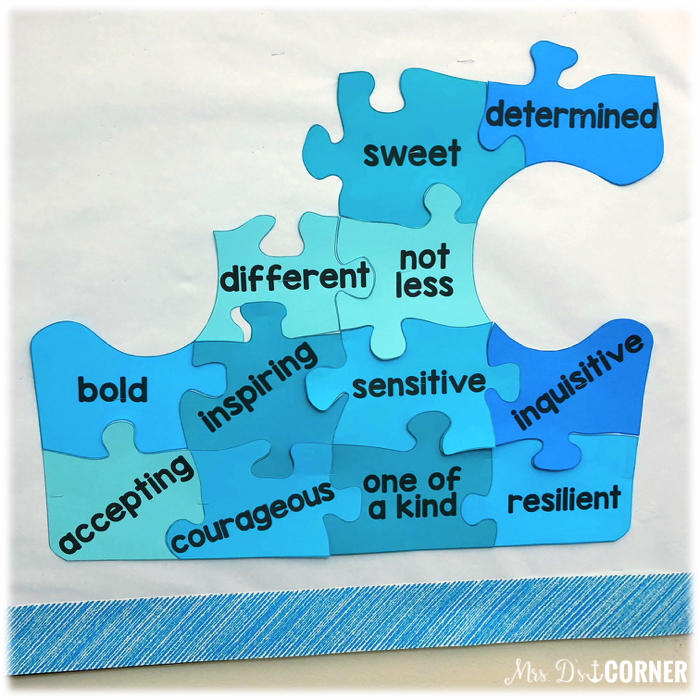 October is Disability Awareness month, but it’s so much more than awareness… it’s about acceptance and seeing people, our students, for who they are. 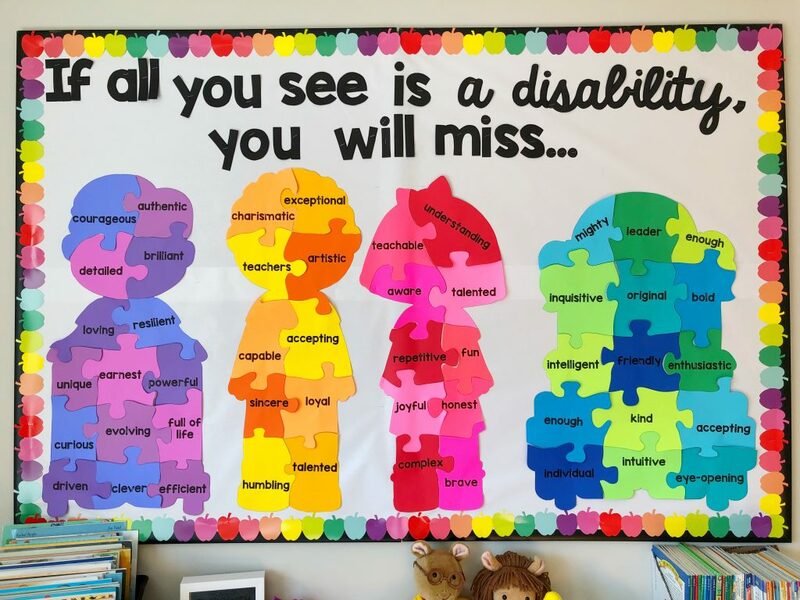 This bulletin board display will help students, staff, and everyone who walks the halls of your school think about each child first and not the “label” of a disability or difference a child may have. 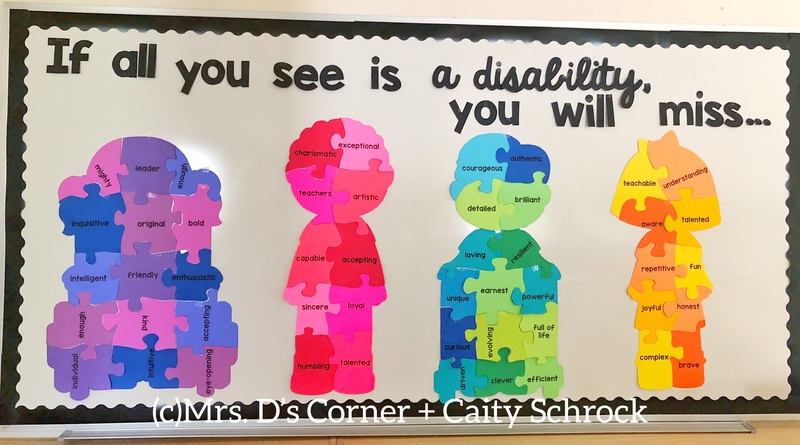 Caity and I feel very strongly that the message behind this bulletin board is so important for all students and people with disabilities and differences. 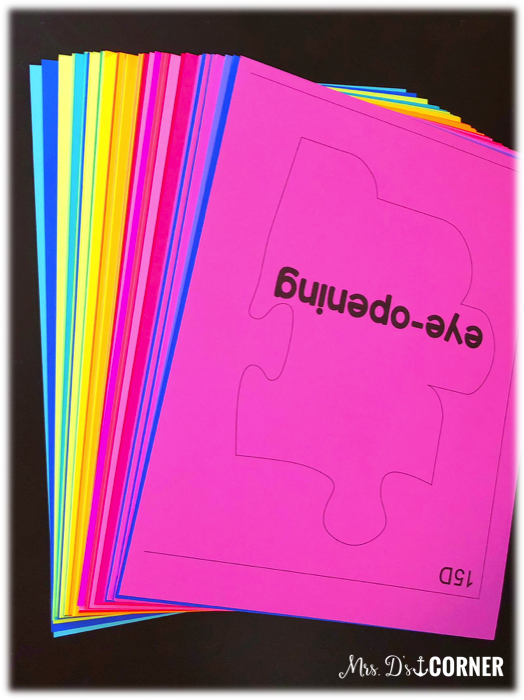 There are 50 total puzzle pieces. 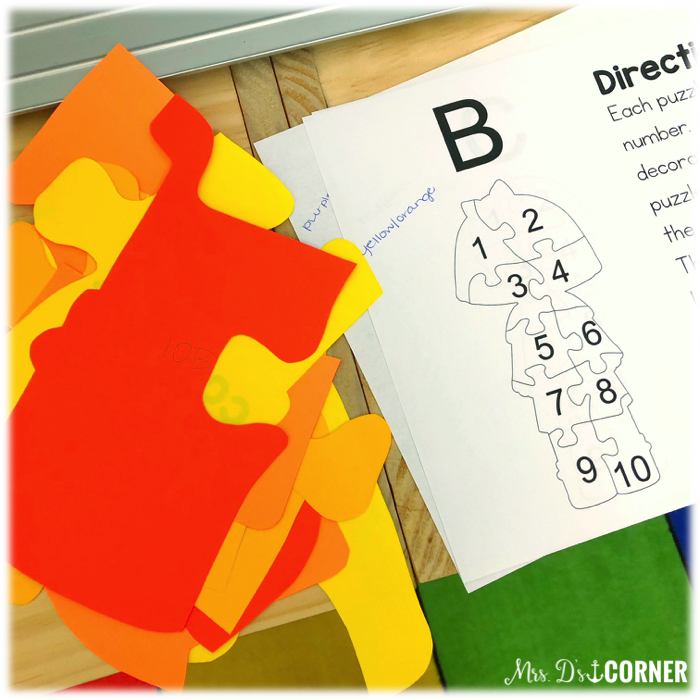 Two kids have 10 pieces each. 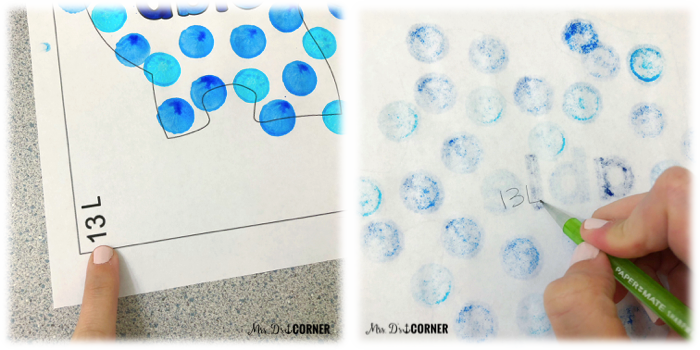 Two kids have 15 pieces each. 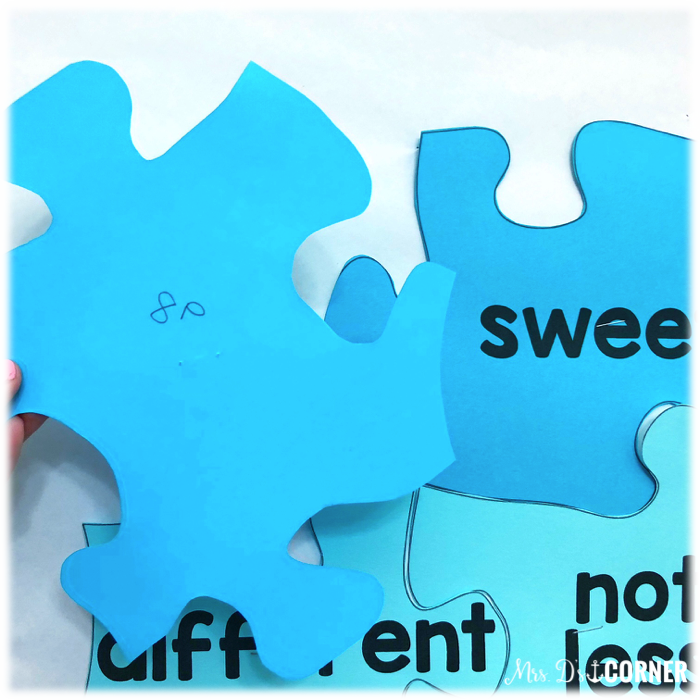 I recommend starting at the bottom of each larger puzzle and working your way up to the top of each of the kids. 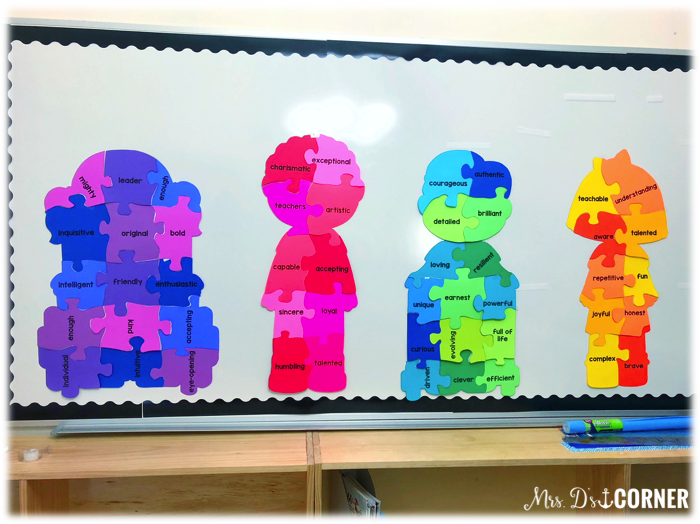 Once you had all 4 kids stapled onto your bulletin board, arrange the wording at the top to make sure it’s centered the way you want. Do you have the images that the shape of the kids is from? 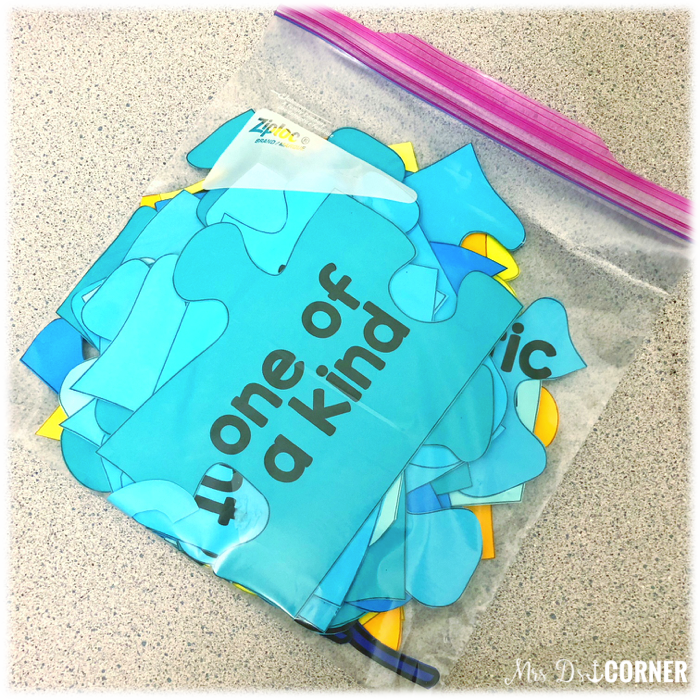 I was hoping to print those as well and piece together to have the word kids open up to the regular picture. Thanks! Love it, Thank you! 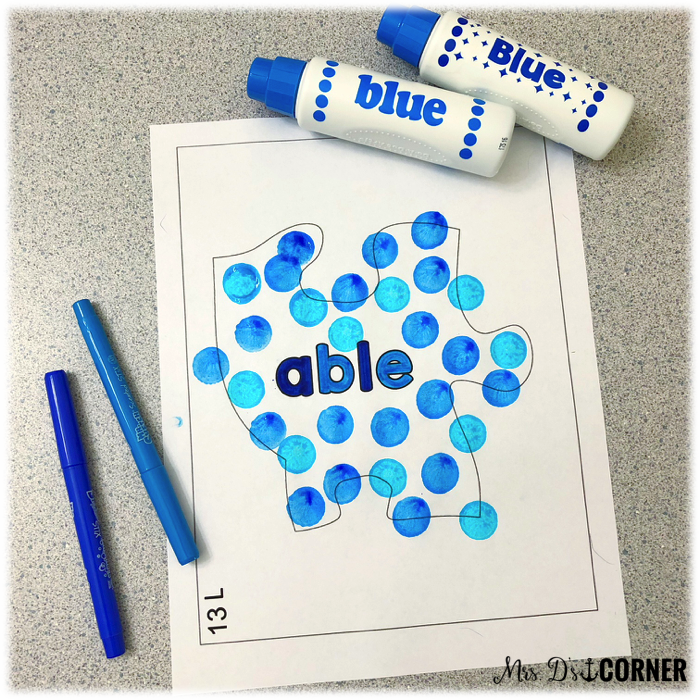 I am positive that my non-autistic students will look autistic children from a different prism.